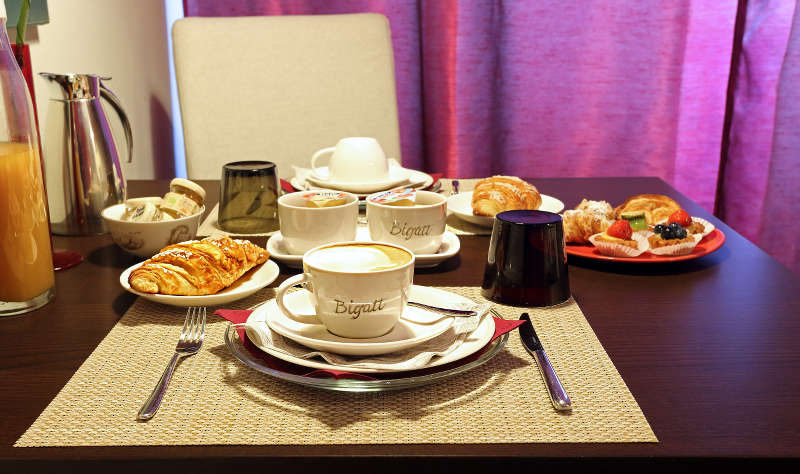 We delight our guests with a hearty breakfast with fresh pastries and cakes from a local bakery, croissants, toasts, butter, jam, honey, yoghurt, biscuits, cereals, juices, assortment of meat and cheese, together with milk, espresso or American coffee, tea, herbal tea and cappuccino. English breakfast is served on request. Breakfast is served in the cozy breakfast room that during the day is at guests’ disposal with a small library where you will find books, magazines, tourist brochures and travel guides to enhance your stay. Bigatt B&B is authorized by the “Italian Celiac Association” to offer gluten free breakfasts and it is listed in the guide “Eating Out Without Gluten” printed by AIC. 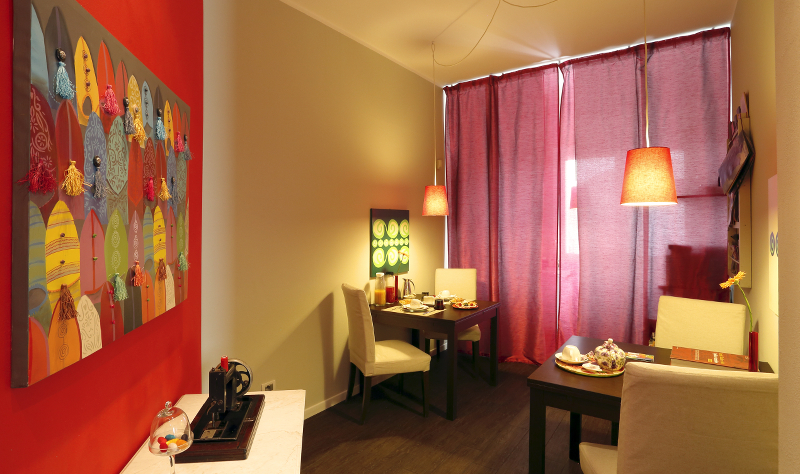 Any particular dietary needs of our guests will receive our utmost attention.